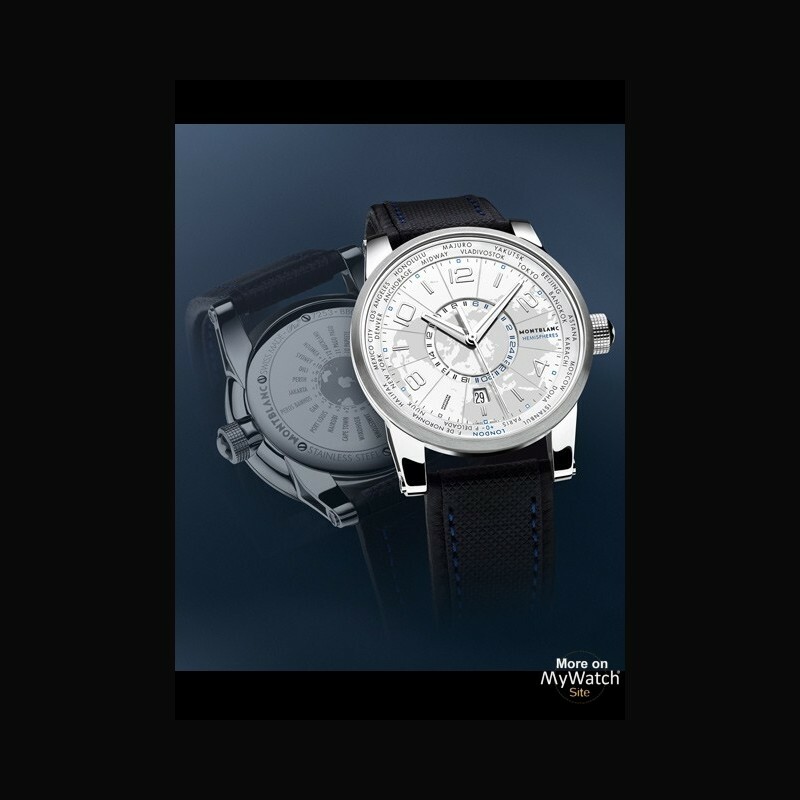 Montblanc’s TimeWalker Hemispheres are a very special kind of world-time watches, which simultaneously show the different times in all 24 of the world’s time zones. The local time in the zone where the wearer is currently sojourning is shown by the hands, while the flange around the dial bears the names of 24 cities, each of which represents one of the 24 time zones into which our planet is divided. A 24-hour disc indicating the hours at the locations positioned radially opposite the disc’s markings on the flange turns at the centre of the dial. Presto! 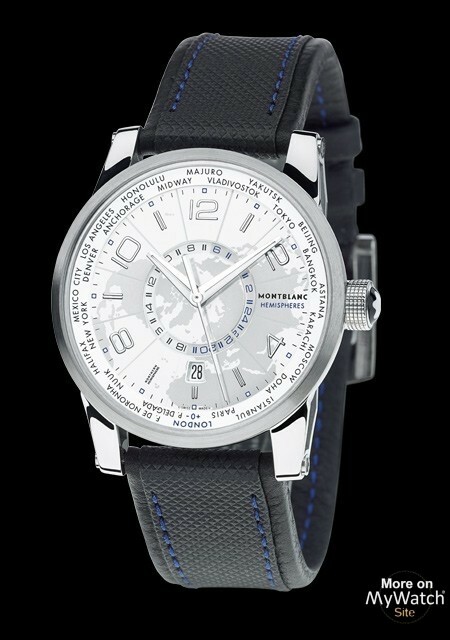 The wearer can instantly see which hour has chimed on clocks in all of the world’s time zones. 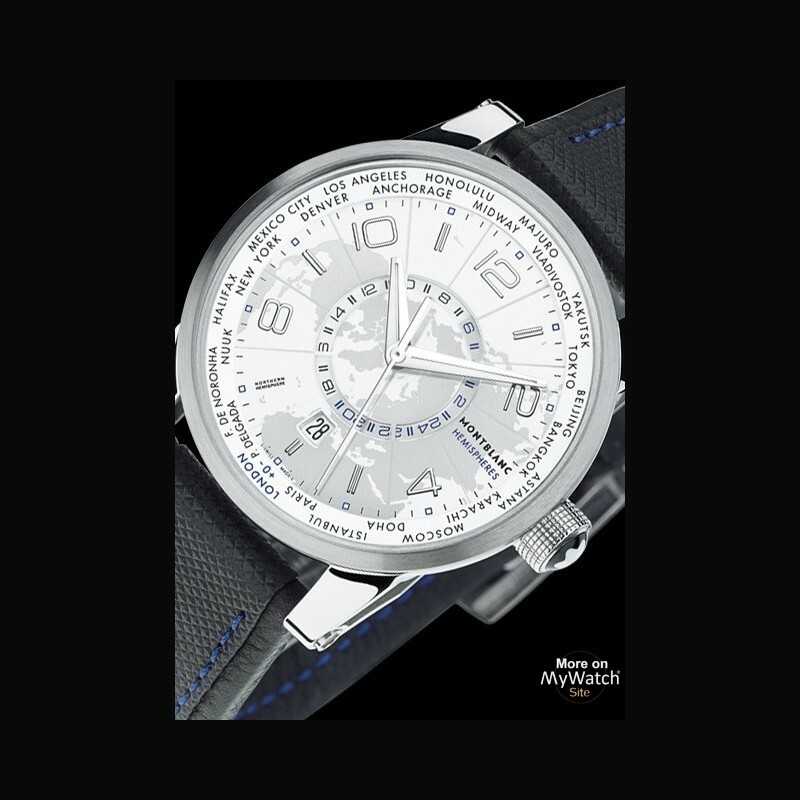 That explains the functional principle of the mechanical Montblanc TimeWalker World-Time Hemispheres watches. 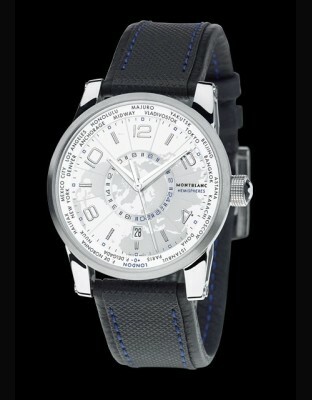 As an additional exclusive feature, Montblanc has enriched these timepieces with another dimension. 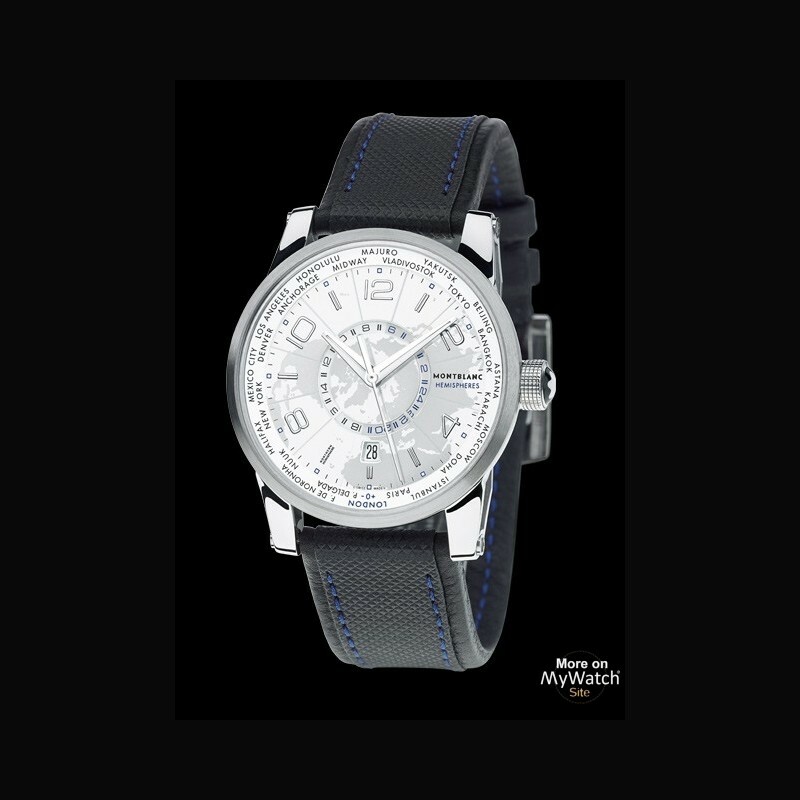 While the time zones progress with the sun from east to west across the meridians of longitude, Montblanc’s latest creation also brings the north-south axis into play because the Montblanc TimeWalker World-Time Hemispheres is available in a northern and a southern version. The Northern Hemisphere model shows a map of the Earth as seen from the north with the North Pole at its centre; the Southern Hemisphere variant puts the South Pole in the midpoint. Logically, the ring of place names on the Northern Hemisphere model consists solely of locations in that hemisphere; the southern counterpart bears only the names of places situated south of the Equator. These different perspectives naturally affect the time displays and require corresponding adaptations in the mechanical movements. Both models have immobile rings around their dials marked with the 24 place names in the relevant hemisphere, but the 24-hour discs in the centres turn in opposite directions: the disc turns clockwise on the Northern Hemisphere watch, it bears a 24-hour scale labelled anticlockwise; the 24-hour disc on the Southern Hemisphere timepiece turns anticlockwise and bears a 24-hour scale labelled clockwise. 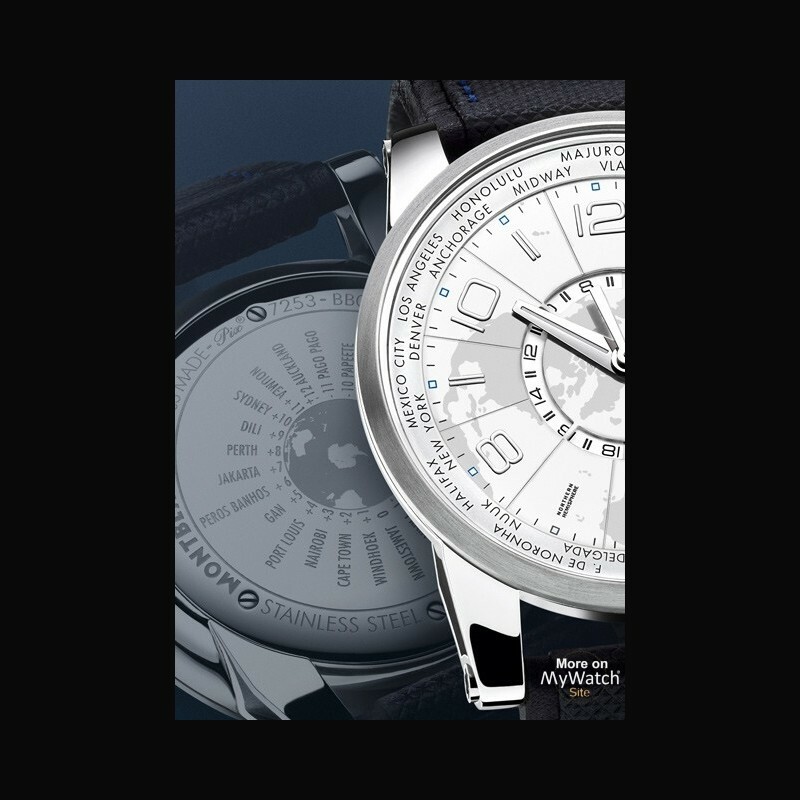 The two TimeWalker World-Time Hemispheres models differ not only because of their different dials, but also because they’re equipped with different movements, which are necessary to rotate the 24-hour discs of the two timepieces in the proper directions. To assure that the wearer can keep an eye on the entire planet, from east to west and from north to south, the Northern Hemisphere watch bears the southern place names on its case back and vice versa. 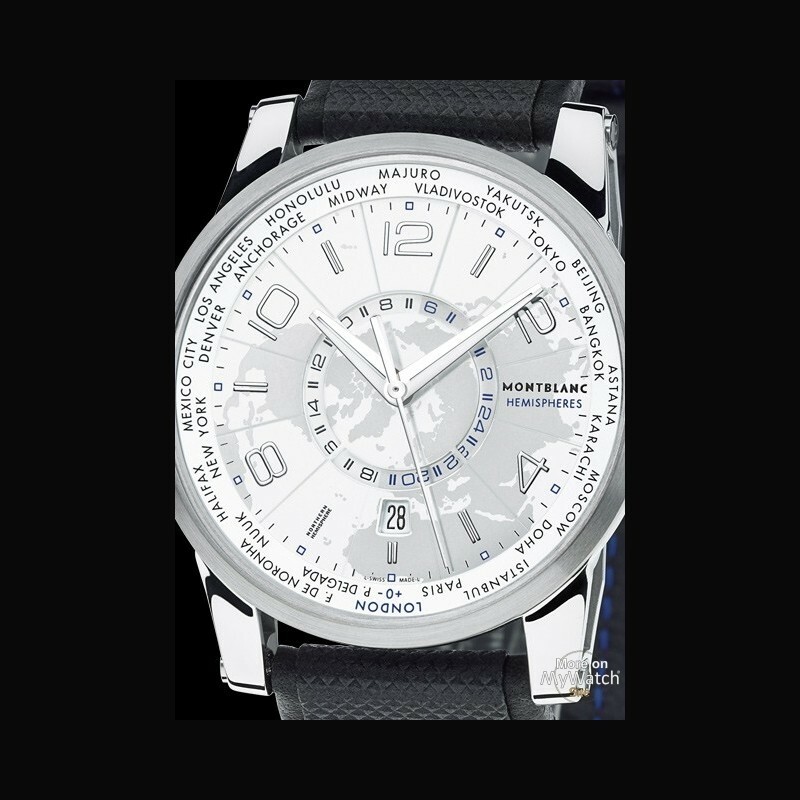 This spectacle is packed into a stainless steel TimeWalker case which measures 42 mm in diameter and has a very narrow bezel, thus leaving ample room for large and readily legible indicators: a time-zone ring with the 24 place names, an hour circle with the TimeWalker’s typical relief numerals and indices, a 24-hour disc in the centre (where it turns clockwise in the one model and anticlockwise in the other) and a window for the date at the “6”. To preclude potential confusion, the northern model and southern variant each has its own colour scheme. 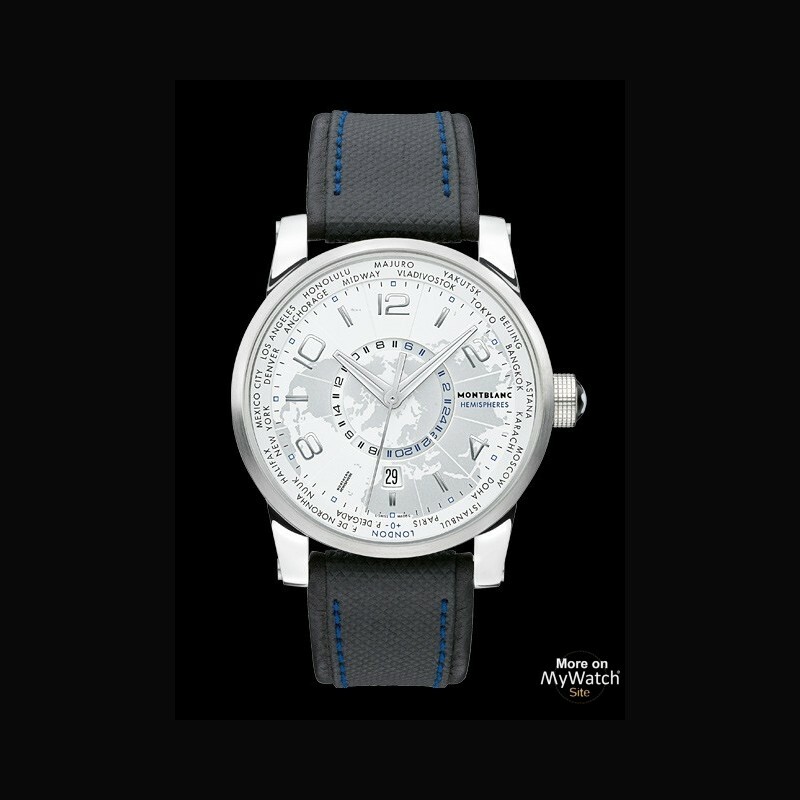 The Northern Hemisphere watch bears a silvery grey dial and is affixed to a sporty black leather strap. The wristwatch for the Southern Hemisphere has a dark anthracite-coloured dial and a stainless steel bracelet with a folding clasp.